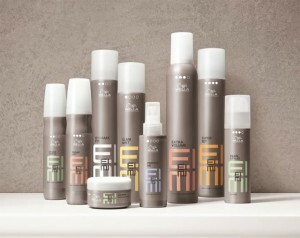 EIMI is the new hair styling range from Wella designed to unleash styling skills! Express yourself, interpret trends your way, set new styles, and empower your hair. The EIMI range is available now at the salone, we are one of the very few hairdressing salons in Plymouth that stock this impressive range. The 5 elements of the range Volume, Smooth, Texture, Shine, and Fixing Hairsprays all complement each other perfectly to let you ‘say, style, and speak’.